The Sani Stand is a perfect solution for events where water is not in reach. This mobile hand sanitizer stand rental features four individual sanitizer dispensers capable of dissolving 99.99% of germs. 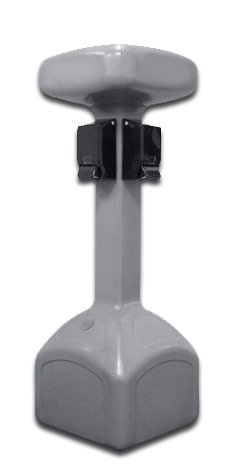 Ideal from festivals to construction, this stand can clean over 16,000 hands! The Sani Stand is a great way to keep hands clean no matter where you are, and with superior mobility, the Sanistand is also portable and easy to move where convenient!